Throughout most of my years in college (and even a little beyond), I worked as a nanny for an amazing family with three cute kiddos. They were Jewish and during Passover, when only unleavened bread is allowed, they would often eat a dish called matzo brei (mat-za brigh) for breakfast. Not being Jewish nor too familiar with the culture or traditions, when I first encountered matzo brei, I was like “thanks, but I’m alright”. While I’ve always loved a good matzo ball soup, I had never really eaten matzo in any other form and the thought of mixing it with egg and dousing it in syrup didn’t exactly allure me. But after a few times of turning the dish down, I realized I was being rude and decided to just sit and give it a go… it was, of course, delicious. It tasted a lot like French toast….and who doesn’t LOVE French toast?! After a while, I was making matzo brei for the kids myself….and after a while longer, I was even making matzo brei for myself. Making it couldn’t be any simpler- scramble crumbled matzo with eggs and pan fry. Easy peasy. To make this already tasty dish even better, I recommend tossing in a few bits of caramelized apples with cinnamon and nutmeg…soooo goood! Recipe after the jump. xoxo! Preheat oven to lowest setting (just to keep your pancakes warm). Peel, core and dice apple. In a bowl, toss the apple with sugar, cinnamon and nutmeg. In a frying pan over medium high heat, melt 1/2 tablespoon butter and stir in apple mixture until softened and caramelized. About 8 minutes. Crumble matzos into a medium bowl and mix with milk. Let soak for about a minute until the matzo is soft but not completely mushy. Add a little more milk if necessary. Whisk in eggs and salt. Melt 1 tablespoon of butter over medium high heat in a clean pan until slightly foamy and scoop a 1/4 cup of matzo batter, dropping pancake-style rounds . 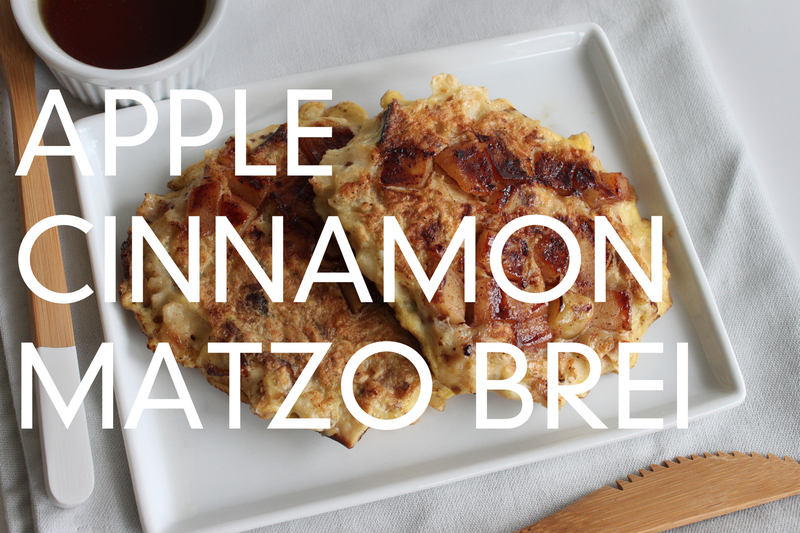 Place about a tablespoon of the cinnamon apple mixture right onto the matzo batter and flatten gently with a spatula. Cook pancakes about 2-3 minutes on each side. 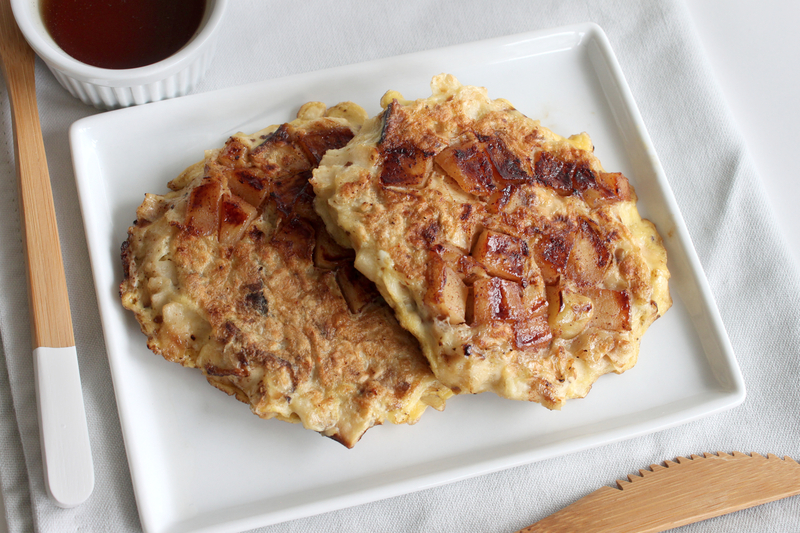 Place matzo brei on a an oven safe plate and into the oven to keep warm while you cook the rest of your batter. Serve immediately with syrup, honey or jam. Enjoy! ← Happy Friday + Find me on Instagram!